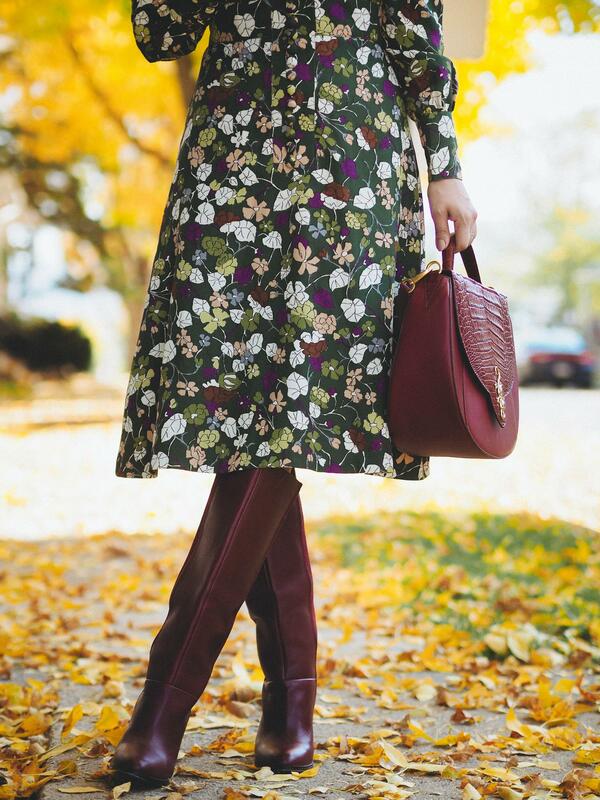 It's time to dust off my finest burgundy boots! 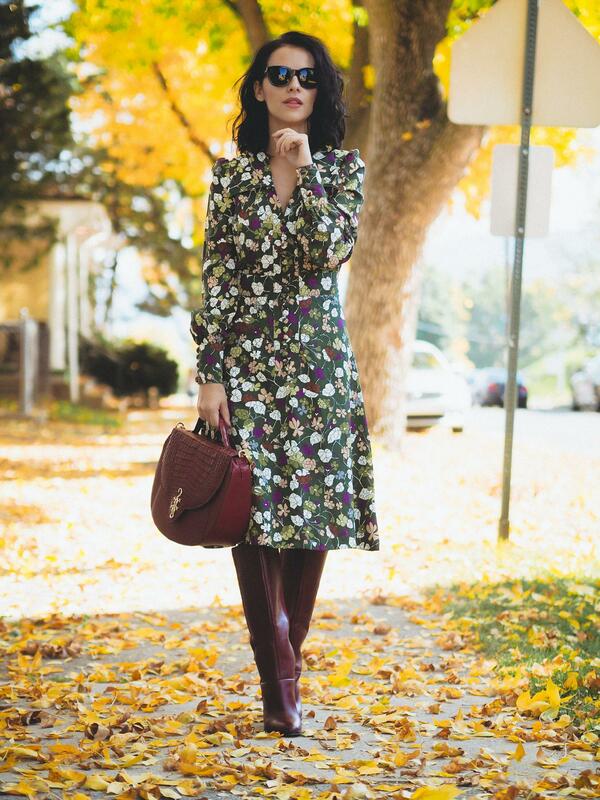 The weather was absolutely beautiful last week (not any more right now) and I decided to wear boots and a dress like this look today before the coat weather comes. 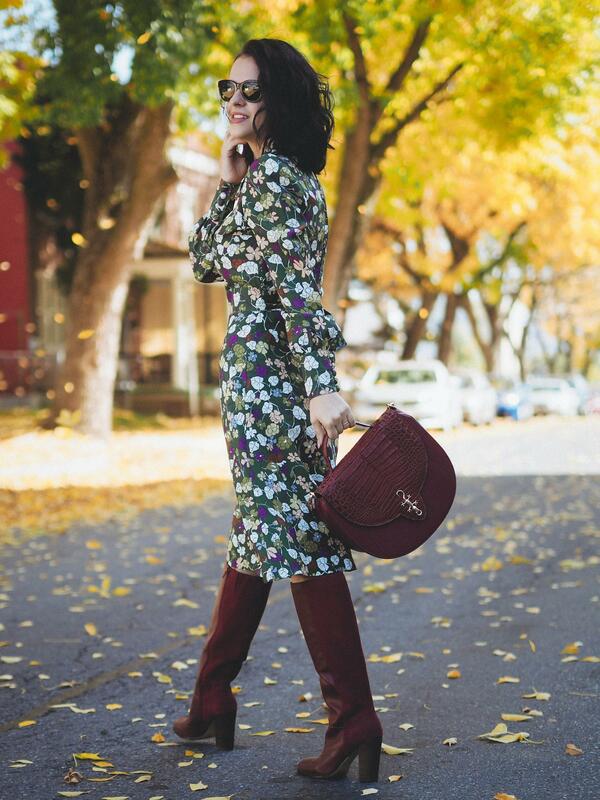 This combination ( midi dresses - boots) is a favorite of mine for Fall. 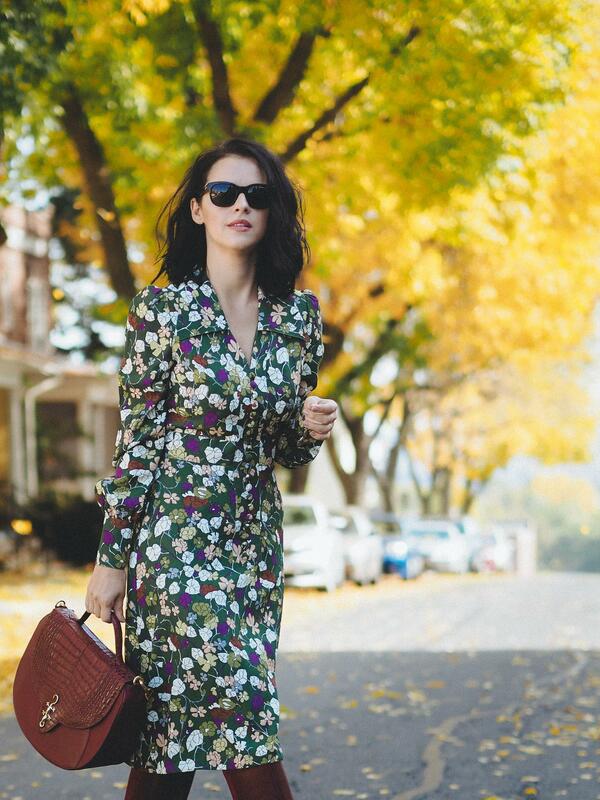 Hopefully, I can wear this combination again. 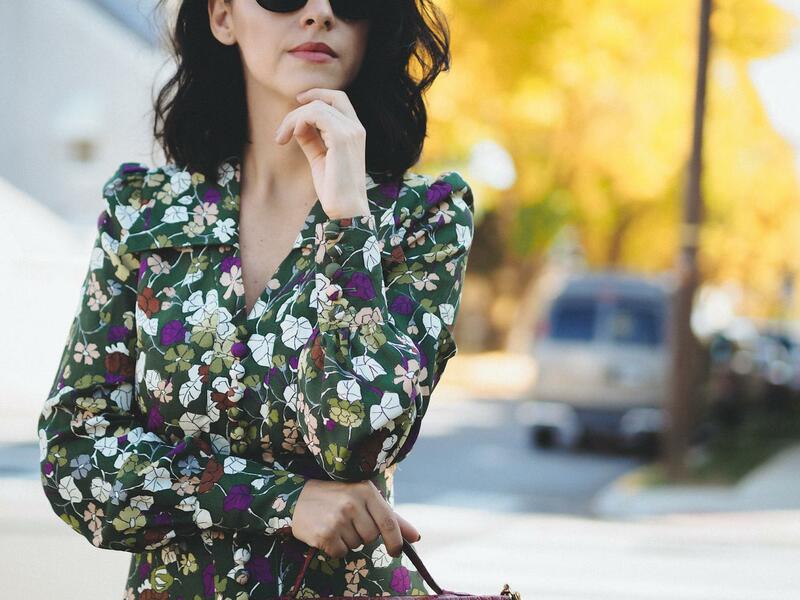 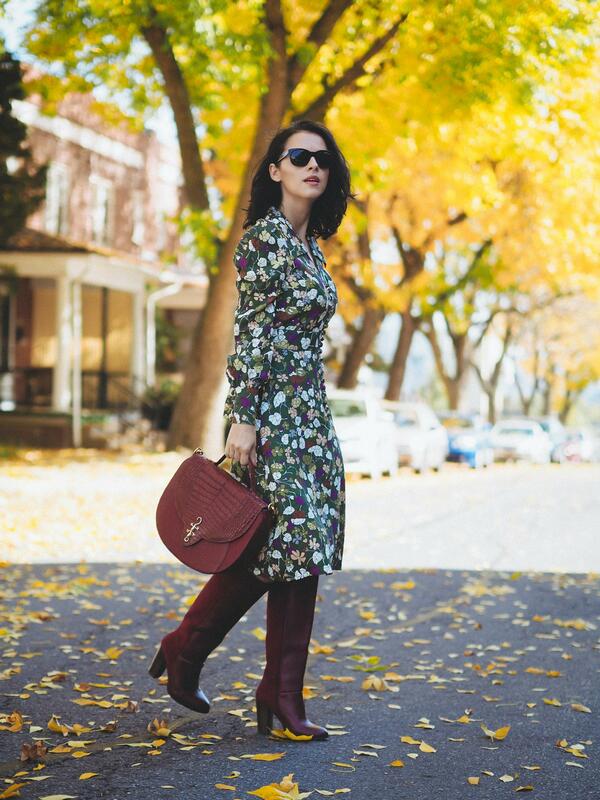 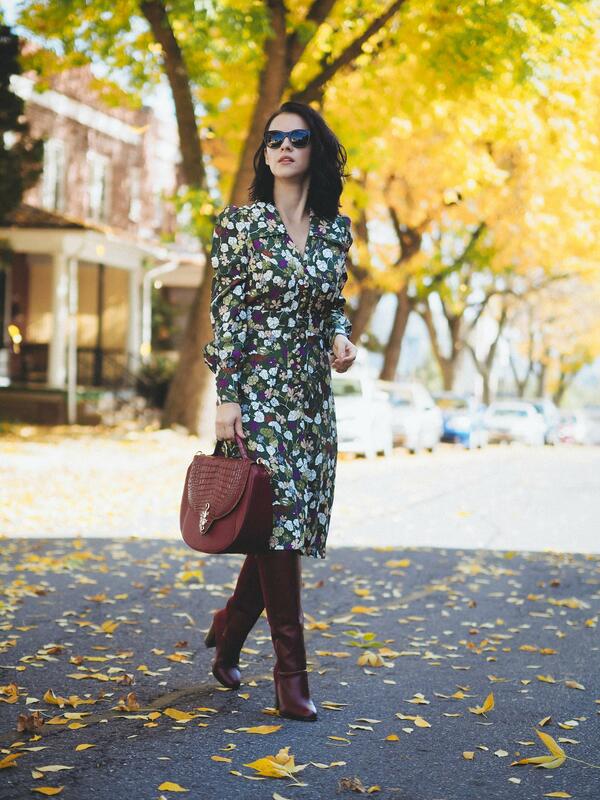 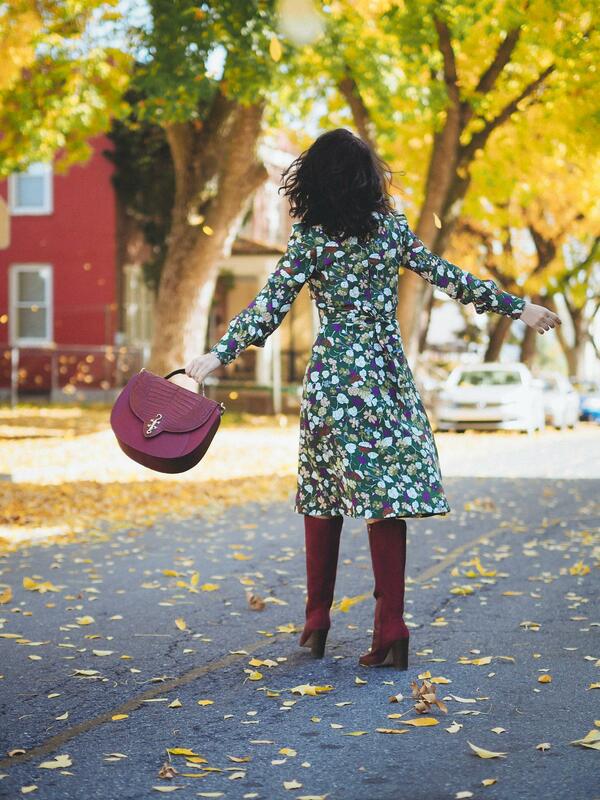 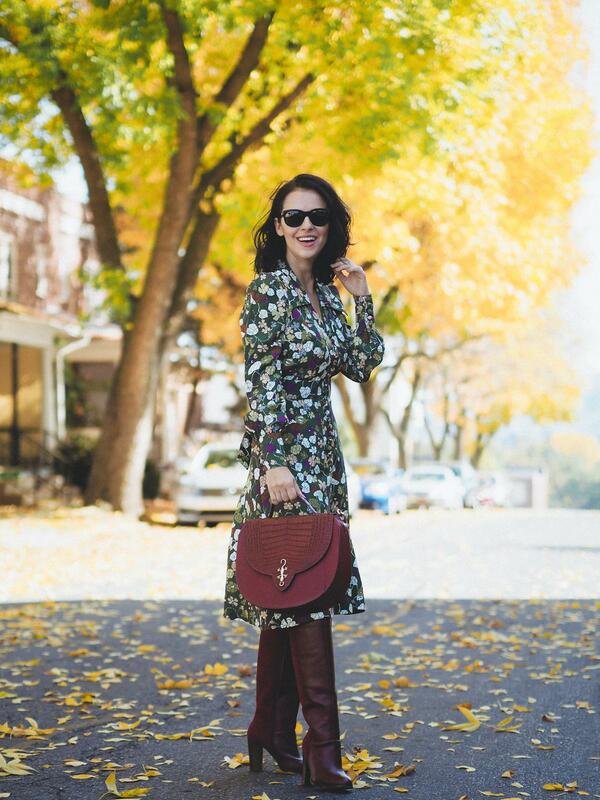 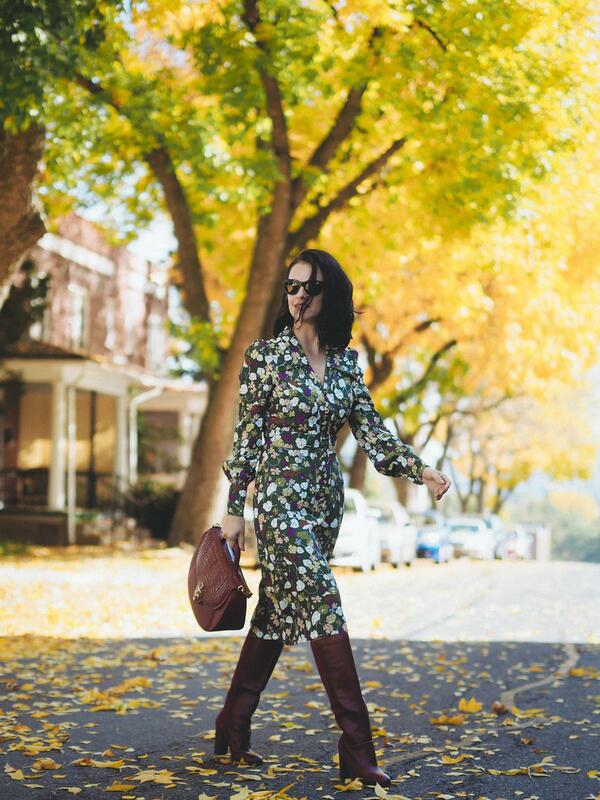 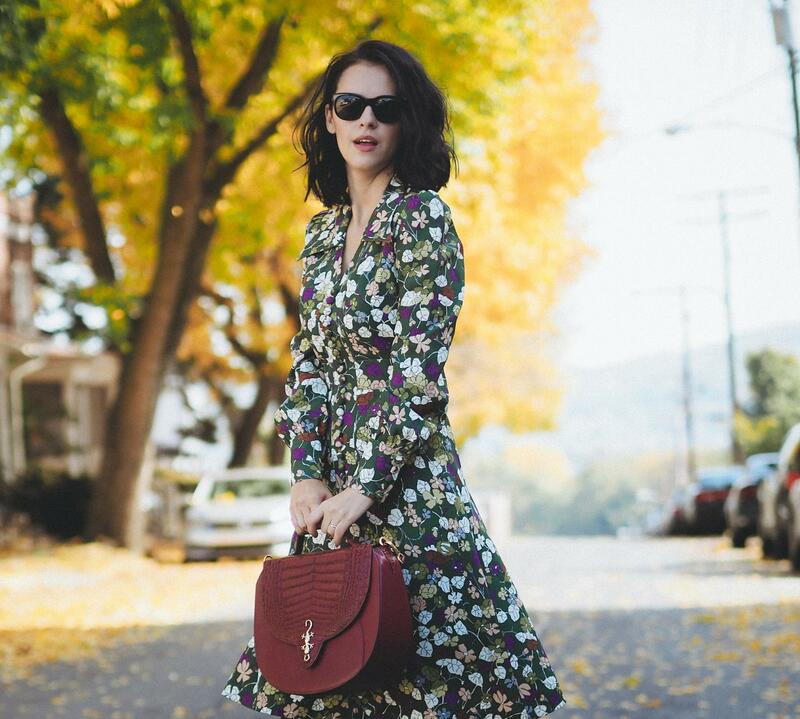 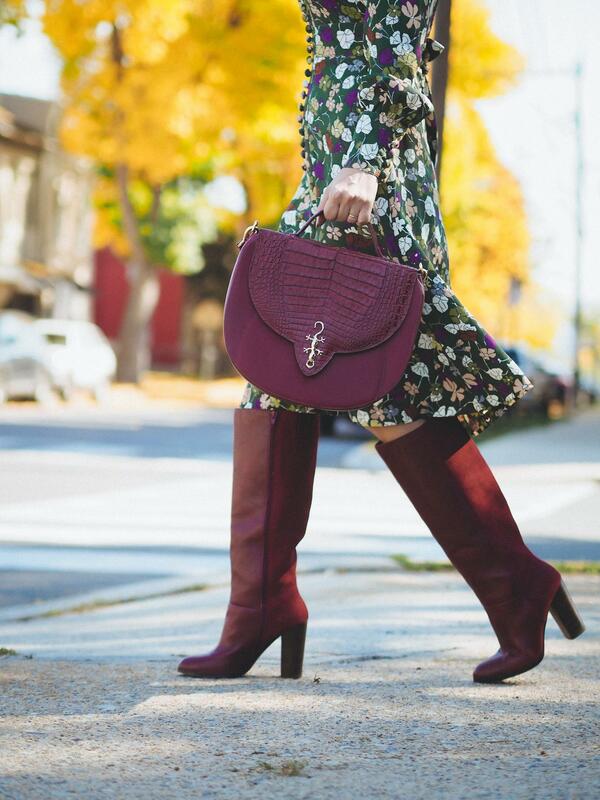 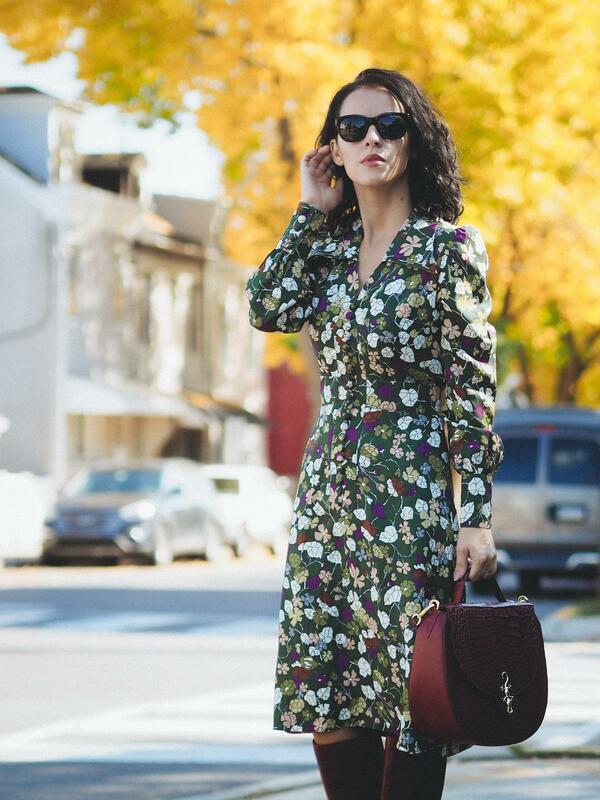 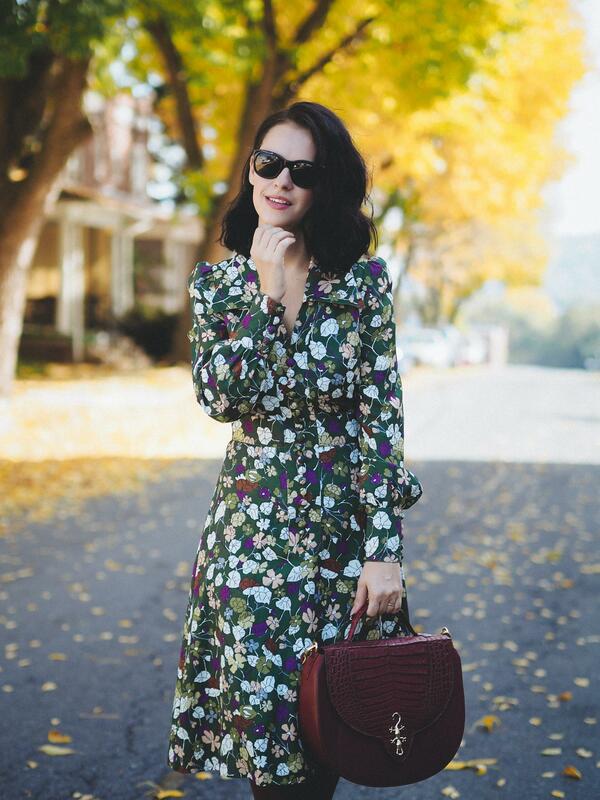 Your boots and bag are a perfect match for the pretty floral dress. 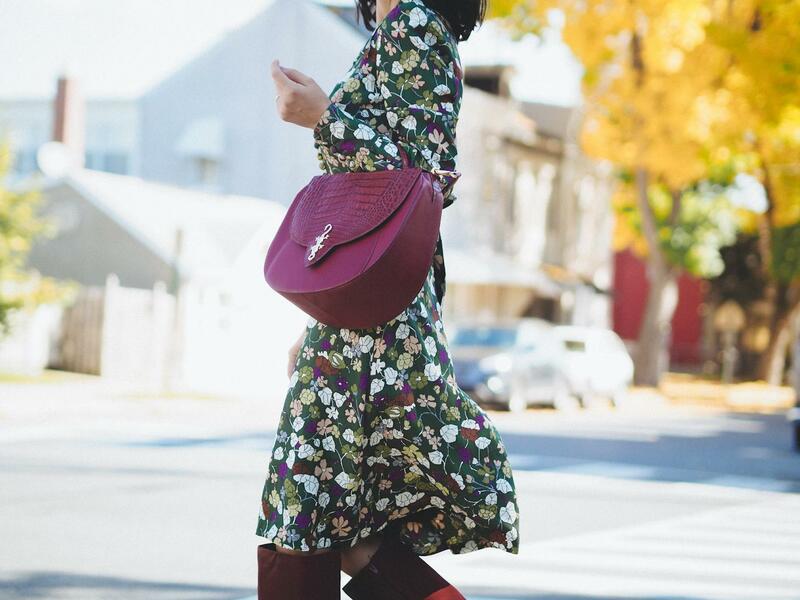 I’m a big fan of burgundy accessories.